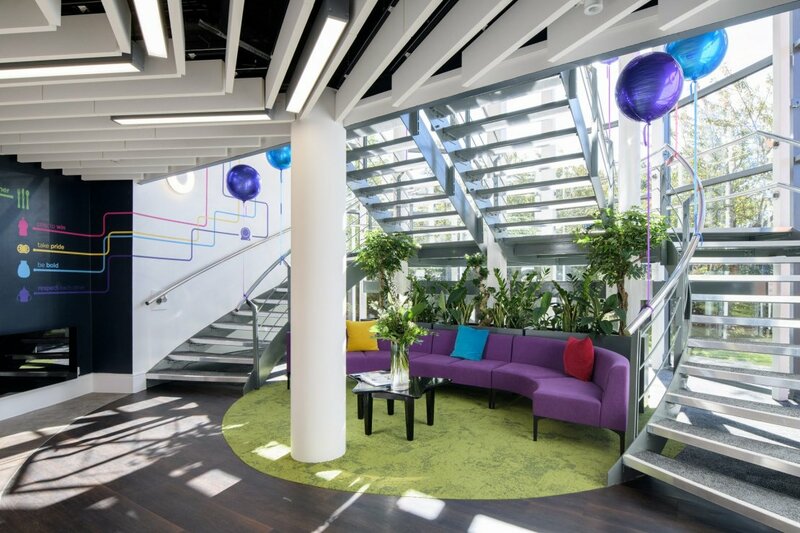 Does your workspace reflect your company brand and culture? When someone steps into your office does it send a positive brand message? Is it a place where employees and visitors are inspired, energised and feel an emotional connection? 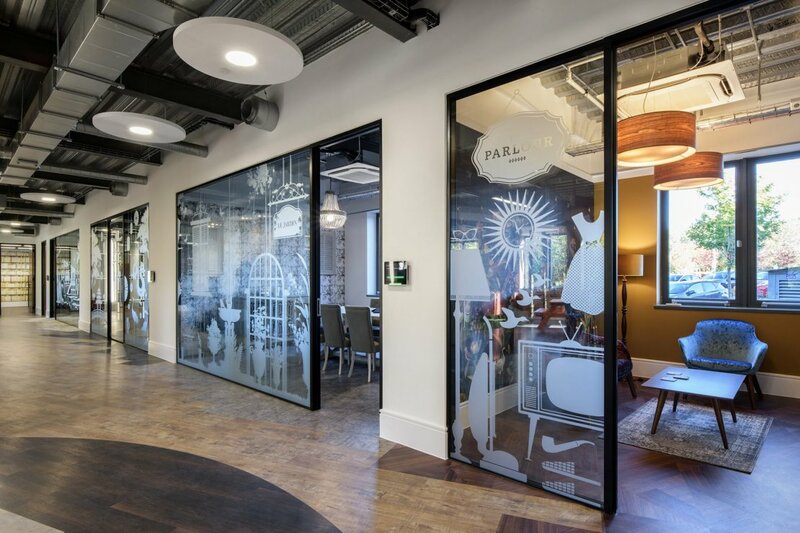 Studies show an office space reflecting a company’s culture, values and brand creates a more engaged and productive workforce and improves employee understanding of business objectives and values. It also delivers a greater endorsement of the brand to visitors and improves how they perceive the business. See below how we’ve achieved this for our clients. Your business should share its story and identity in the workplace. Use photographs, décor, products or possibly a timeline to illustrate. For well-known baby brand Tommee Tippee’s new 30,000 sq ft global office in Newcastle, Ben Johnson Interiors created an interchangeable product display unit in reception, while engaging illustrations and models of products are available everywhere. Fun “park” and “beach” meeting areas, complete with trees, colourful benches and swinging seats reflect areas where parents spend time with babies. 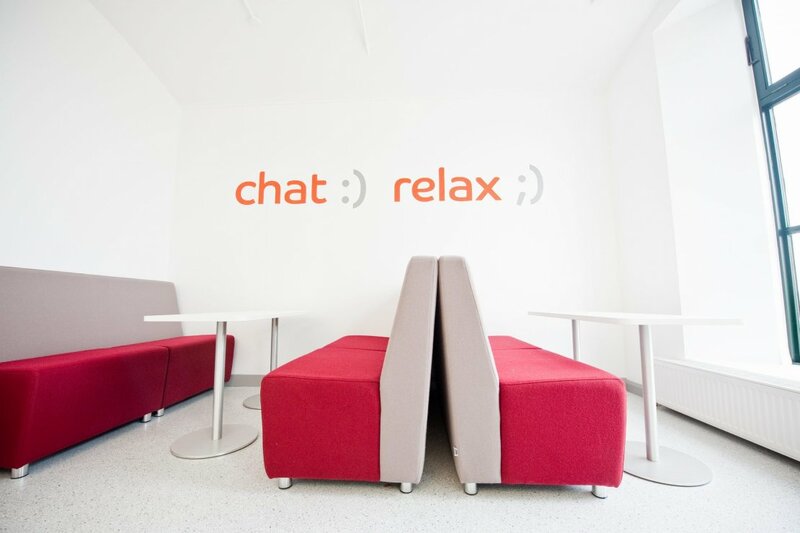 A variety of private, themed meeting rooms represent the countries where the brand operates. The environment supports collaborative working, represents real families, and demonstrates that life is not regimented. 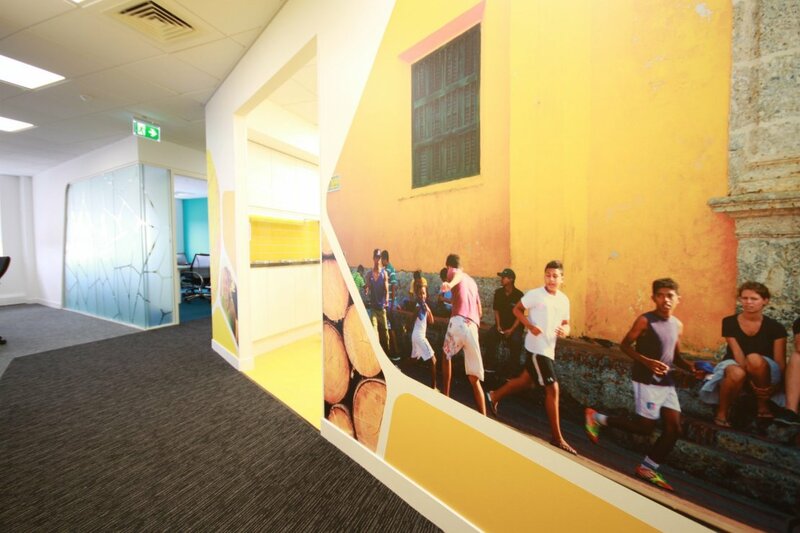 Visually bring your brand into the workplace in an engaging way. 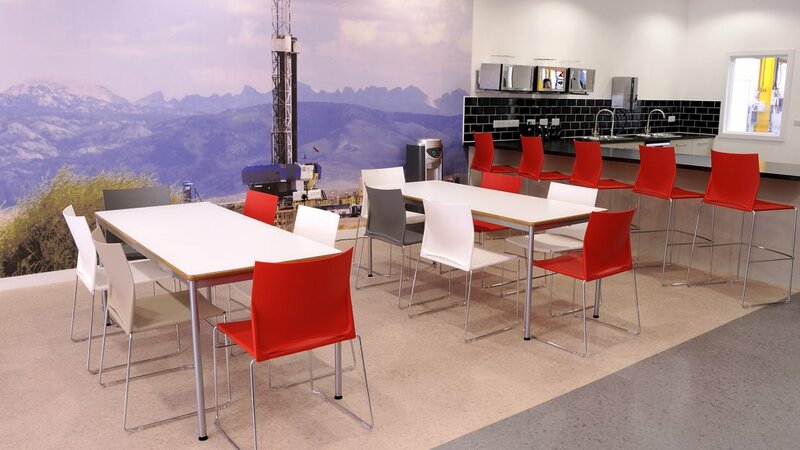 Ben Johnson Interiors worked with Halco Rock Tools – suppliers of specialist tools to the mining industry. 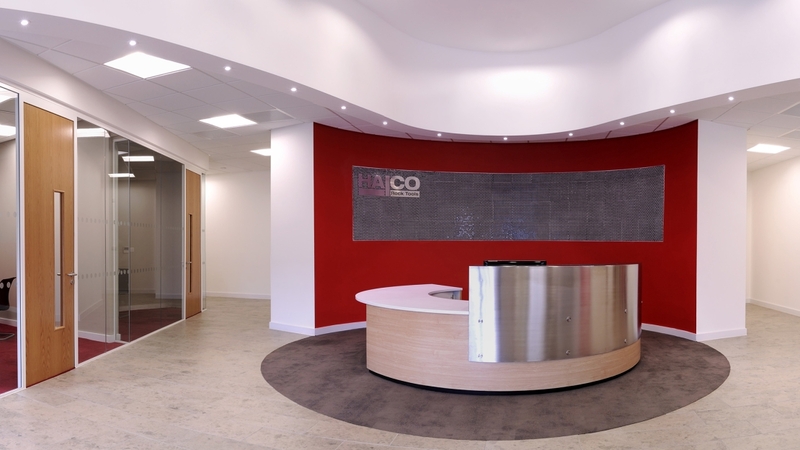 We brought their brand naturally into the office with company colours throughout and a sturdy, stainless steel, bespoke reception desk which cleverly reflected the company products. 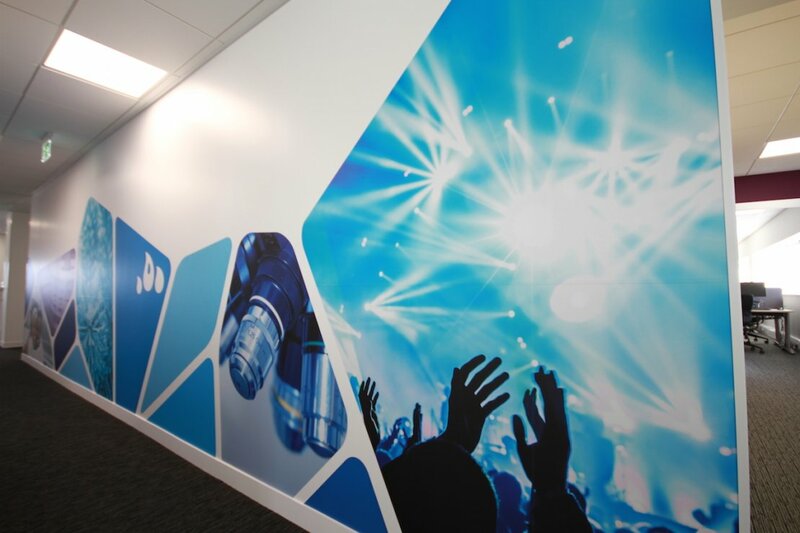 Feature wall tiles were selected for behind reception that looked like a drill bit, and colour graphics showing landscape and mining where used throughout the open plan and breakout area. 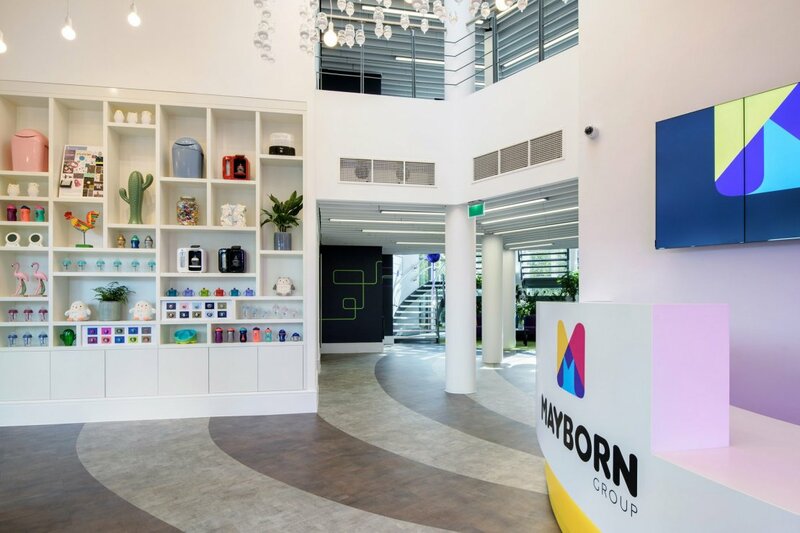 At Mayborn House, home of Tommee Tippee, we created a huge wall lighting feature in the shape of a giant Tommee Tippee logo made from 800 coloured baby bottles. It is now a talking point and focal point of the office. A bespoke coffee table with the Tommee Tippee Star was also created. 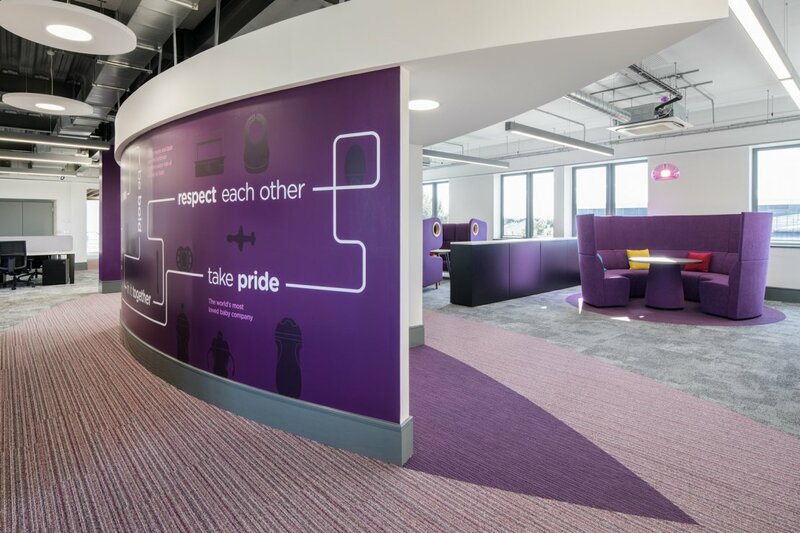 CPP Group in Leeds incorporated their branding in lots of subtle ways, from the partition manifestation to the feature moss walls. They also had a biophilic map of the world to demonstrate their global reach as a brand. Brand values and the culture of the company should also be reinforced in your décor, office design, layout and furniture. For instance, if you’re actively encouraging a more collaborative culture, then make sure to have comfortable work areas where informal interactions can happen. 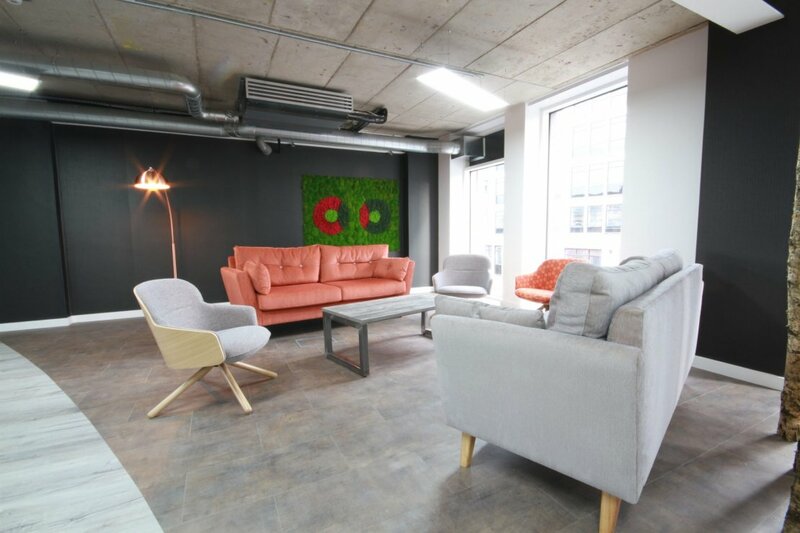 CPP Group recently moved to a new global HQ in Leeds. 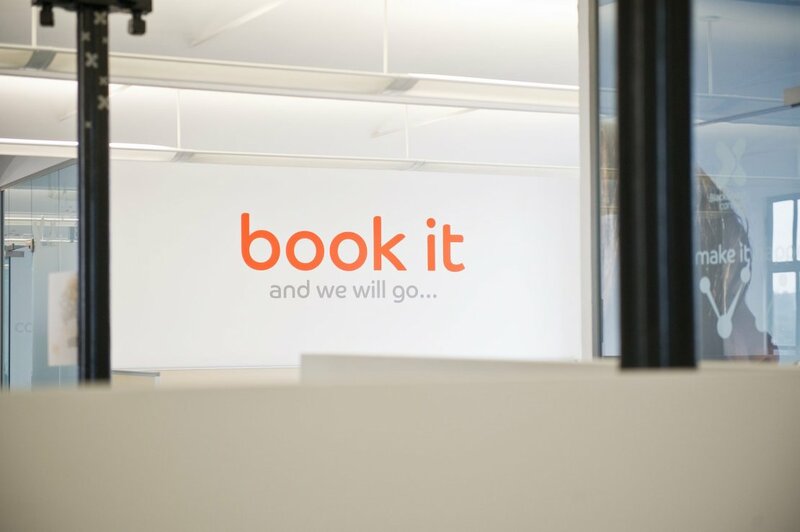 The company is focussed on an energetic, collaborative working culture and excellence in client care. 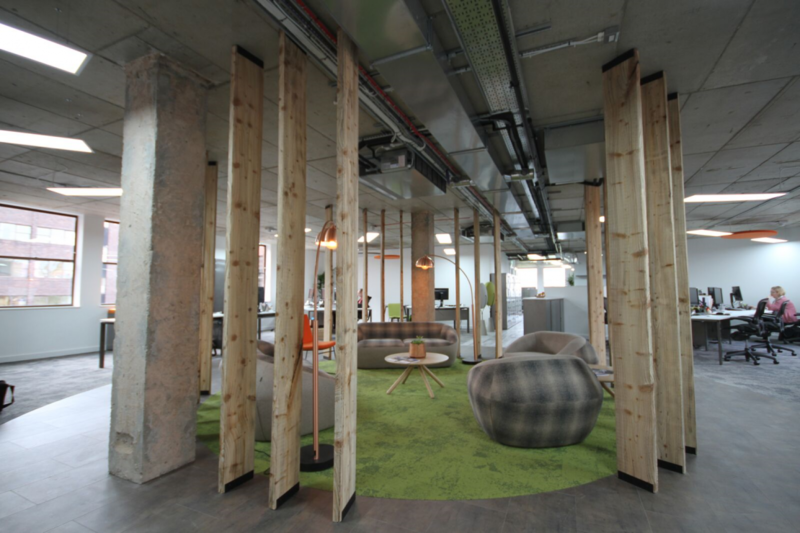 Ben Johnson Interiors carried out workplace design and fit-out to reinforce these brand values. 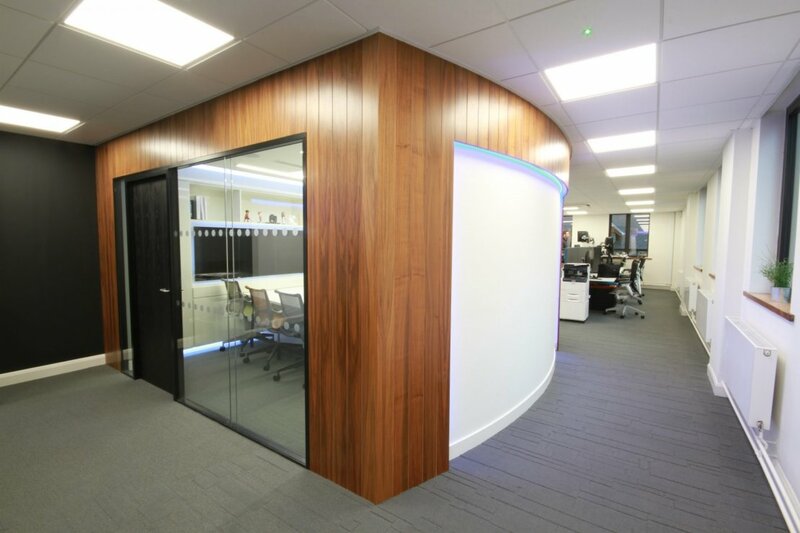 Ben Johnson Interiors have worked with world renowned Unilever in Leeds for many years, completing various office refurbishments. 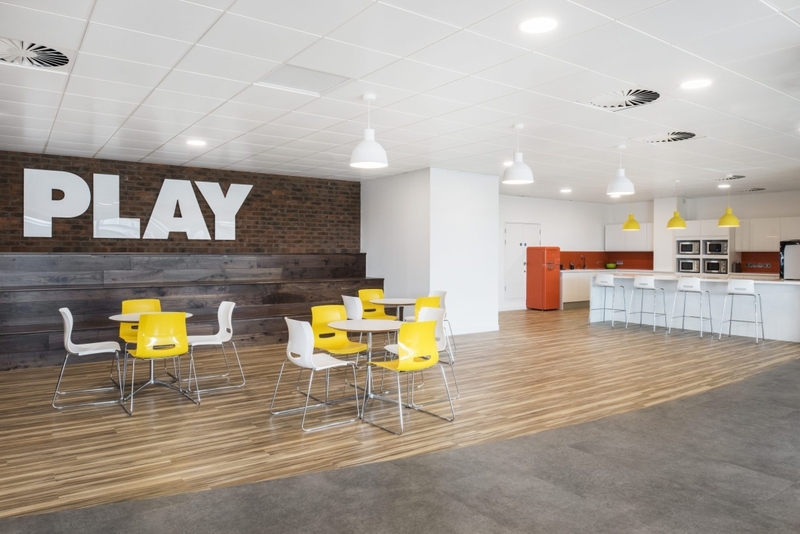 Showcasing products and branding is key to Unilever’s workplace strategy. 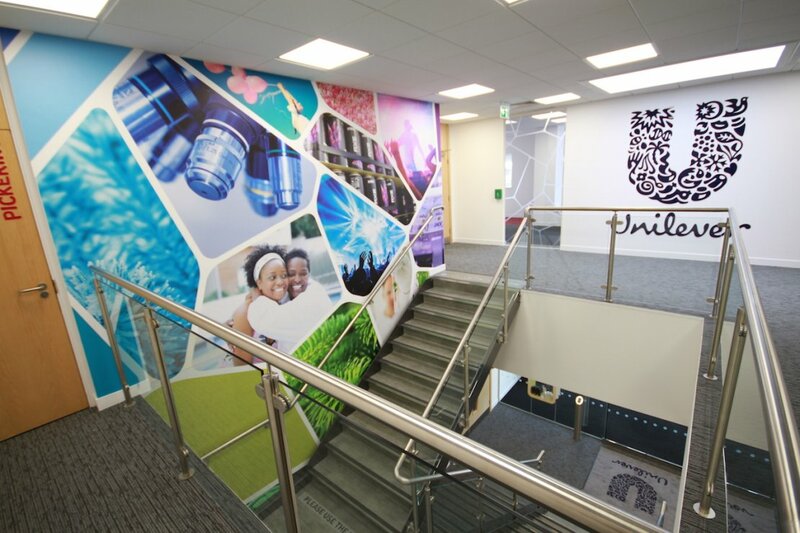 Examples include product walls and graphics, abstract branding on walls and manifestation, wellbeing typography and graphics along corridors used to display the company’s heritage and history. Another simple way of incorporating brand values is by typography. 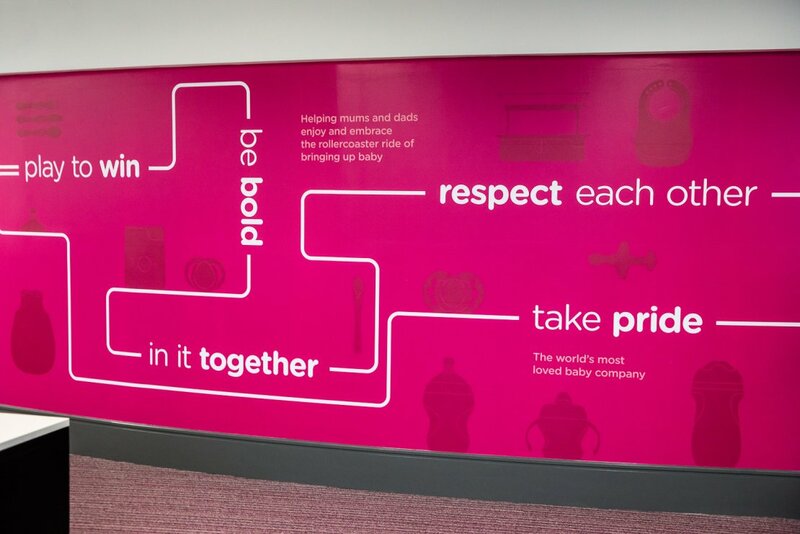 At Mayborn House we named each of its four working zones by one of the company’s core internal values and each zone had its own corporate brand colour: RESPECT EACH OTHER (purple) , PLAY TO WIN (pink) BE BOLD (yellow) and TAKE PRIDE (orange). Txttools (now Blackboard ConnectTxt) is another fun example of incorporating typography to reinforce brand culture. 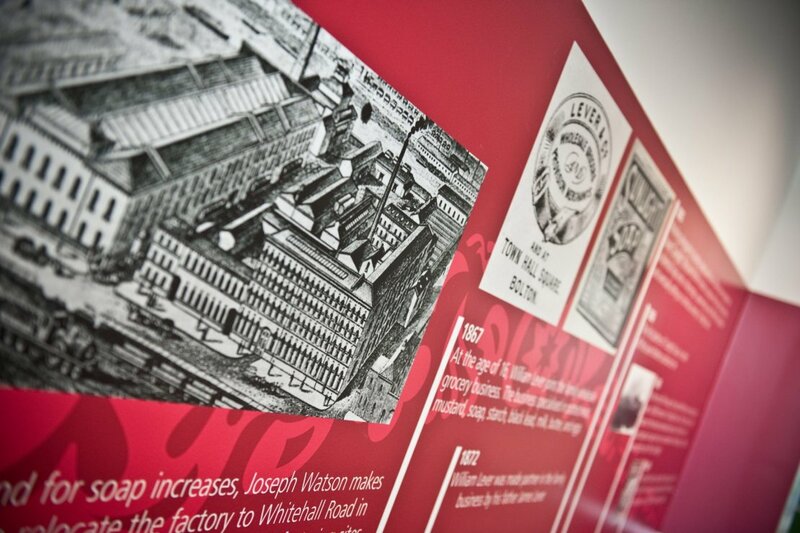 Text speak on walls was used throughout to communicate the functions of different areas. This reinforces their business. 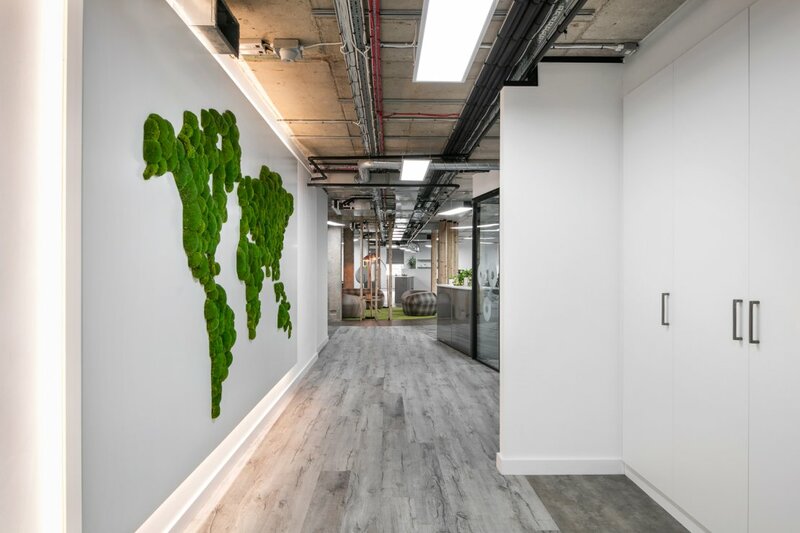 Ben Johnson Interiors creates fully digital working environments as well as state of the art conferencing facilities to connect companies across the UK with global markets and teams. You can also harness the power of this technology to represent your brand in innovative ways around the office. Many of our clients use this technology to offer interactive experiences or rolling digital displays that showcase company news and projects. Your internal audiences are as important as external markets. By bringing your brand to life via technology in your office environment, you remind employees what the brand is trying to achieve, and naturally create internal ambassadors. 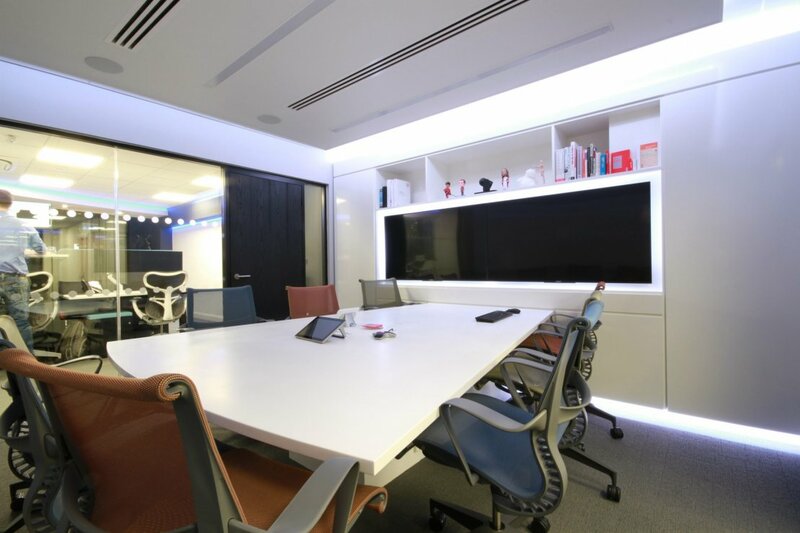 Below are examples of our workspaces for technology clients. 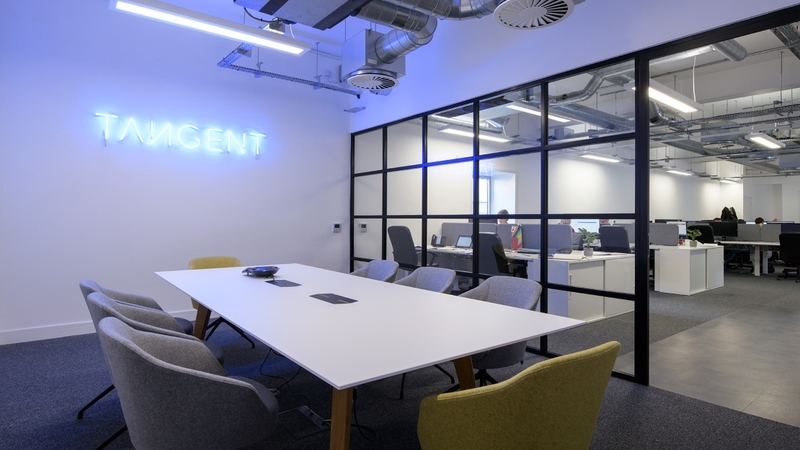 Tangent Newcastle is using feature lighting to display their branding. 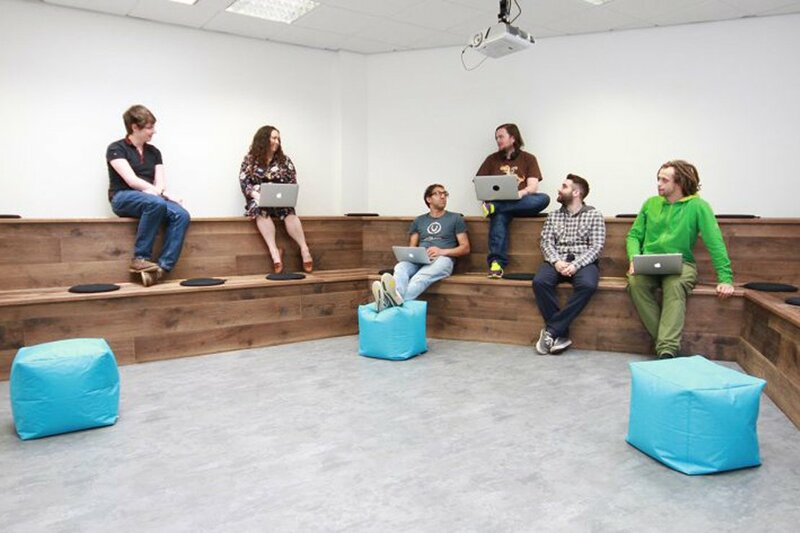 Specialist software company, Binary Consultants, whose clients include Microsoft, are investing in a state of the art video conferencing room at their Head Office in Harrogate. 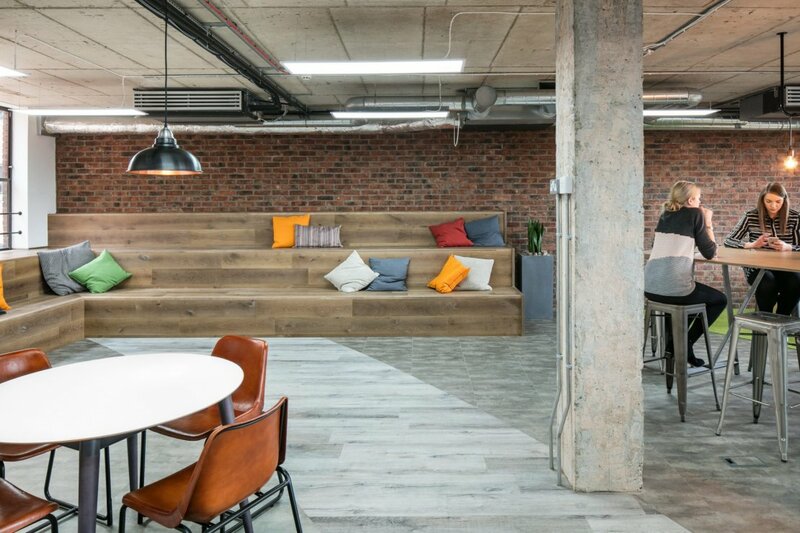 Many of our clients including Turnitin in Newcastle, Byng in Leeds and CPP Group in Leeds favour informal spaces with tiered seating and large digital screens where they can hold relaxed gatherings and combined global briefings in real time. 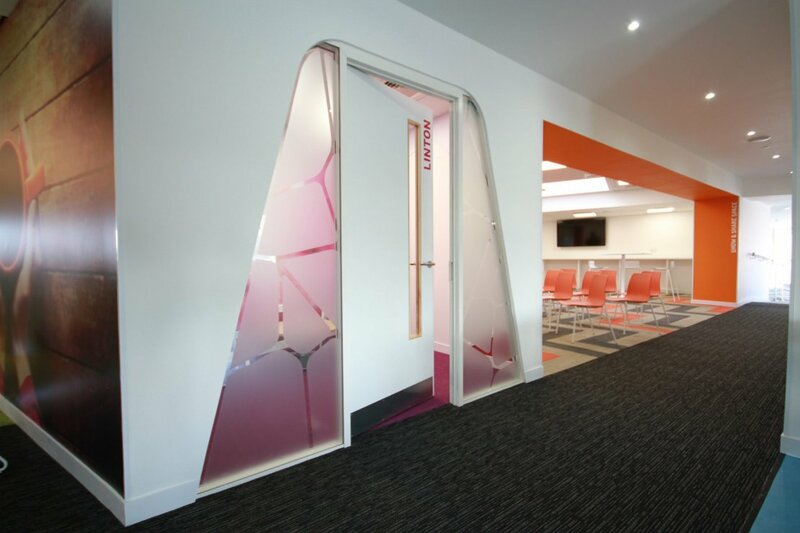 Finally, engage your employees and customers to ensure your office space reflects their perceptions and aspirations. For Turnitin, a software company in Newcastle, we developed two initial concept designs that were presented to all employees in a lunchtime session, during which comments were invited. All the comments were subsequently reviewed and where appropriate, incorporated within the project. A well-branded workplace is a daily reminder for your team and visitors to your premises, of what you do and what you stand for. 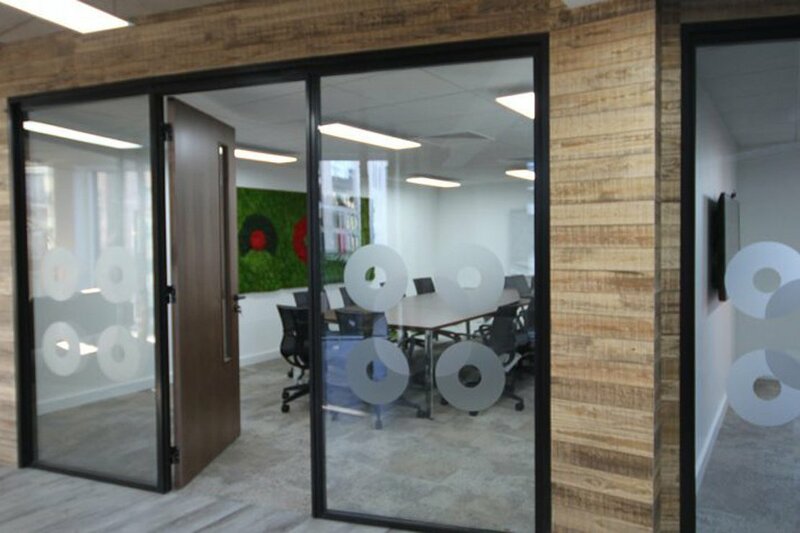 Ben Johnson Interiors can advise you professionally so that you can make the right, lasting impression on your employees and anyone who visits your workplace.